At Lilburn Family Dentistry, we practice routine dental care in addition to performing restorations and addressing any other complex dental issues that you may have. In our Lilburn dental office, we have found that by taking care of your teeth and planning for routine visits, you can prevent many common oral health problems like cavities, tooth infections, and gum disease. If you want to keep your adult teeth intact, it is critical that you continue to receive routine dental care, regardless of how old you are. Many adults skip their annual dental visit because they associate the need with children and the elderly. As a dentist, we know that the reason many adults lose teeth and have oral health problems with age is because they don't have preventative care visits in their 20s, 30s, 40s, and 50s. 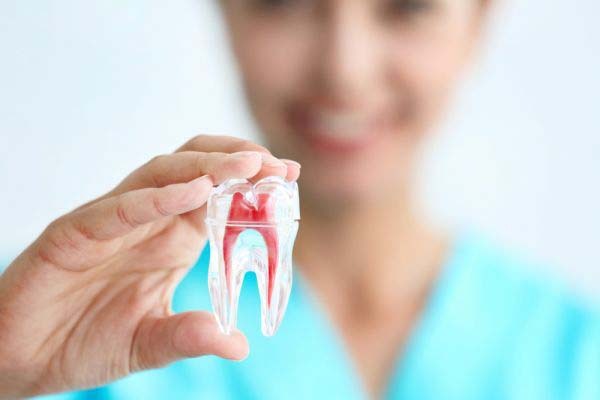 You only have one set of teeth and we recommend that you do what you can to take care of them now, while you still can. If you haven't visited the dentist in a while, we invite you to call (770) 800-0178 and schedule an appointment for your dental exam. Many of our patients ask how frequently they need to visit our office for routine dental care. This is an understandable question because most people associate going to the doctor or dentist with visits to stop discomfort or a perceived health issue. Visiting the dentist is a little different. We want to see you when you aren't experiencing any problems so that we can keep it that way. Typically, when plaque and bacteria forms on the teeth, you won't see an immediate problem but if it is left there, you can develop cavities and gum disease. Even small cavities won't always cause immediate discomfort, making it difficult to judge the condition of your mouth at home. This is why you should visit our office twice a year. We can examine your teeth, identify issues while they are small, and treat them immediately. Our team will also clean your teeth at this time so that gum disease and infections can be prevented entirely. If you are a diabetic, you may need to visit our office three or four times per year, depending on how often you have a diabetic episode. This is because uncontrolled blood sugar inhibits the white blood cells ability to fight off infection, including the bacteria in your mouth. At Lilburn Family Dentistry, we can treat diabetic patients, while also coordinating your care with your medical physician as necessary. If you are otherwise healthy and not in any discomfort, we recommend that you have a dental exam and teeth cleaning at least once per year. Yes. 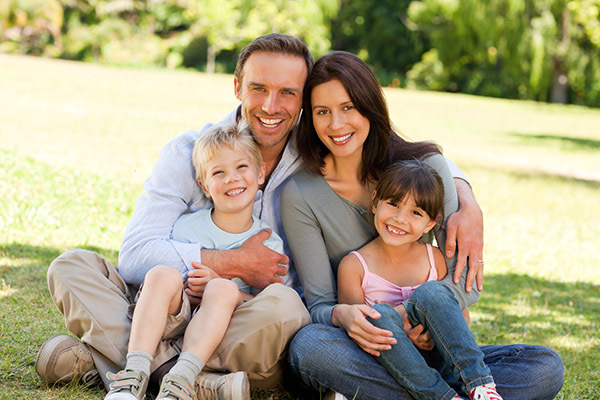 At Lilburn Family Dentistry, we recommend that everyone visit the dentist at least once per year, regardless of age. Even toddlers need to see the dentist and so do seniors, even ones that wear dentures. This is because everyone is susceptible to getting cavities and gum disease. For example, baby bottle tooth decay can impact two-year-olds that are prone to taking a bottle or juice to bed. Simultaneously, even seniors that struggle with full tooth loss need to visit the dentist to ensure that there are no issues with their gums and that their dentures still fit properly. Tooth loss leads to resorption so the jawbone will change, and this can lead to ill-fitting and uncomfortable dentures. With that in mind, regardless of how old you are or what your situation is – you should visit the dentist for routine dental care. When you visit our Lilburn, GA office for routine dental care, we will do several things. First, we will examine your teeth with a visual inspection. We will look at every single tooth to determine if you have any tooth decay. We will also look at your gums to see if there are signs of gum disease and take images of your mouth to see if you have any infections that are not visible to the naked eye. If we identify anything, we will discuss a treatment plan with you. Otherwise, we will proceed with cleaning your teeth and gums. Depending on your age, we will also recommend specific procedures that can prevent future cavities. For example, we often recommend fluoride as part of routine dental care. Fluoride is a mineral that, when placed on the teeth can strengthen them and reduce the risk of getting cavities by 30 percent. If you tend to get cavities or live in an area that does not have city water, this simple procedure can help you to stay healthy. As a bonus, getting a fluoride treatment is painless and fast. 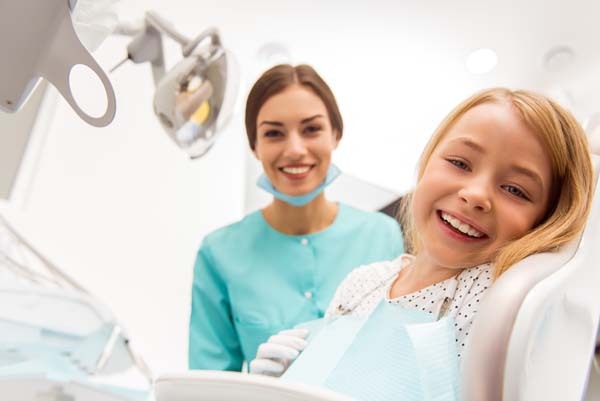 In children, we often recommend dental sealant as well since sealant can be placed onto teeth with deep ridges and work as a barrier, preventing plaque and bacteria from becoming trapped and causing cavities. In adults, this is not a common procedure, however, if you are experiencing tooth sensitivity there are preventative steps we can take so that it doesn't become worse. Tooth sensitivity normally occurs due to a loss of enamel. This leaves the dentin underneath exposed and susceptible to irritation when you eat or drink. We can perform a bonding procedure to protect the dentin. In order to do so, we will apply a tooth-colored material to the surface of your teeth, shape it, and harden it using a special light. Once done, you will have a natural-looking outer layer that replaces your lost enamel and reduces or eliminates any sensitivity that you may be feeling. This is one procedure that can be easily performed during routine dental care and will often prevent the need for crowns in the future. To learn more about bonding, we invite you to call 770-800-0178 and schedule an appointment with our Lilburn dental office. Routine dental care must also include good oral hygiene at home. At Lilburn Family Dentistry, we recommend that you brush your teeth with a soft toothbrush for two minutes at a time, twice per day. You should purchase a new toothbrush every three months, brush with a fluoride toothpaste, and make a circular motion as you do. Follow this up with flossing once a day, drinking water, and avoiding foods that are high in sugar or acid. This will help your teeth to remain strong and healthy in between dental visits.